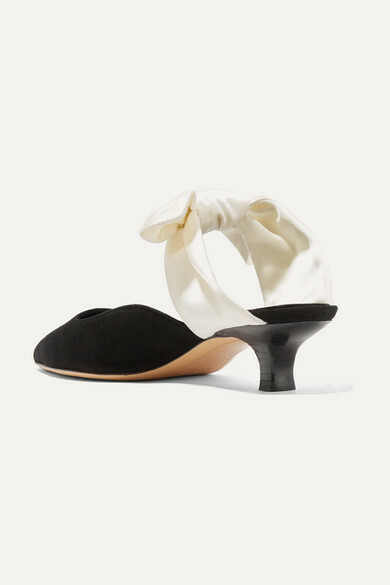 Balanced on a comfortable kitten heel, The Row's 'Coco' mules sit in that sweet spot between formal pumps and casual flats. 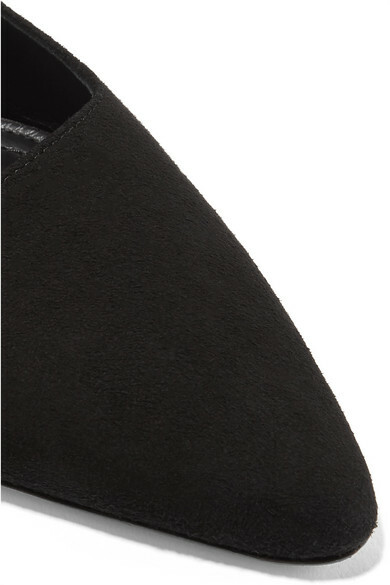 They've been made in Italy from soft suede and have lustrous satin bows that can be adjusted to suit your arch. 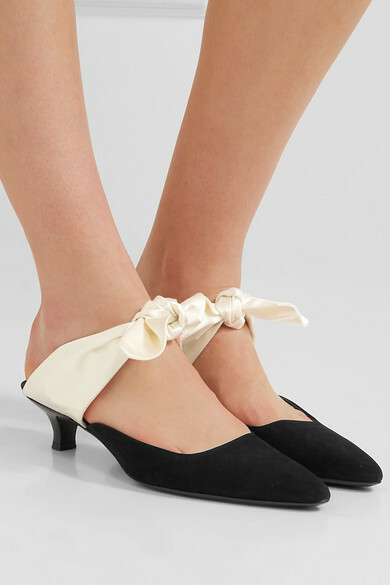 Wear them for evening with an LBD or at the weekend with skinny pants. Shown here with: Chloé Pants, The Row Top, Bienen-Davis Shoulder bag, Paola Vilas Ring, Dinosaur Designs Earrings, 1064 Studio Ring.